When it comes to reputation, it’s hard to top the iconic legacy of Wilson baseball gloves. The brand has been part of baseball since 1914, and when the company (then known as the Ashland Manufacturing Company) named Thomas E. Wilson as their company president things really took off. Through the years they’ve had legendary coaches and players as part of their advisory staff, and that included the legendary hitter Ted Williams. Its most famous glove in its history is the fabled Wilson A2000, which came out for the first time back in 1957. It would define what the prototypical glove would look like for modern baseball for years to come. Its most notable features included a deeper pocket that caught the baseball more securely. And the “hinge” between the thumb and forefinger was considerably improved, so that the glove could very quickly snap on a ball like the jaws of a crocodile snapping on the legs of a river-crossing wildebeest. Immediately after the release of the A2000, the players who used it suddenly found themselves able to snag balls from midair without the assistance of the other hand. It was a revolutionary change in fielding ability, and some experts credit this innovation as one of the reasons why no one in baseball will ever again achieve a .400 batting average. Ted Williams achieved this in 1941, and surely it was just coincidence that he was part of the advisory staff. The A2000 eventually became the official glove of the MLB. 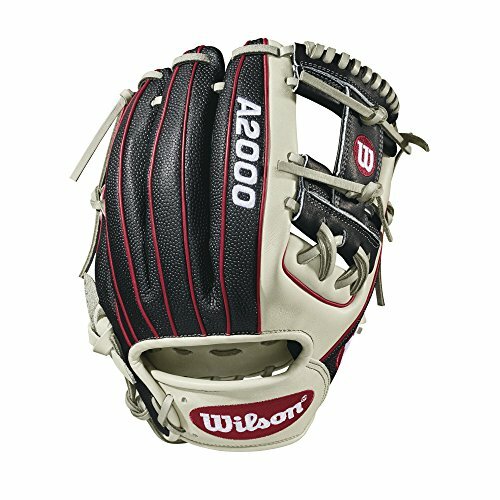 Today, almost every glove in baseball is a close descendant of the original A2000. Since then, Wilson has continued to introduce new technology whenever possible. 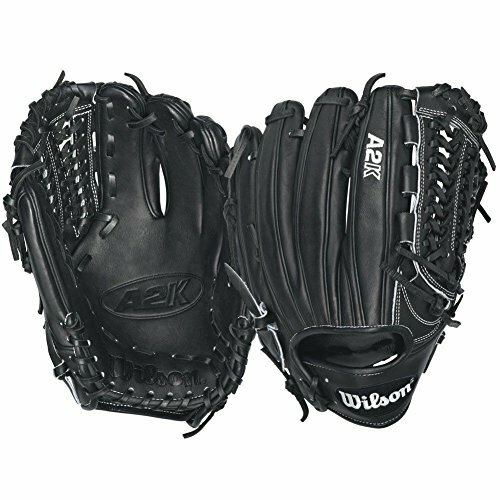 Current players who wear Wilson baseball gloves include Yasiel Puig, Josh Reddick, Jose Altuve, CJ Wilson, Robinson Cano, and Rickie Weeks. 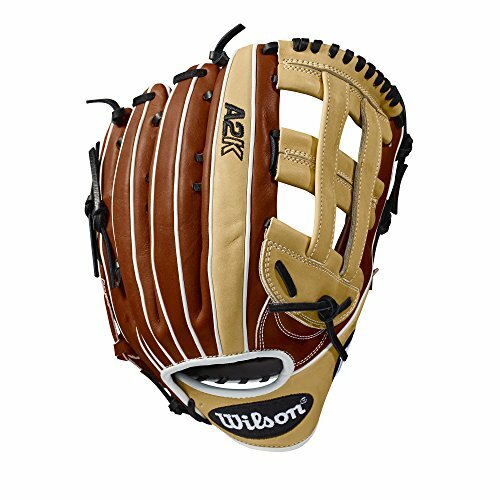 I’ve always admired Wilson baseball gloves because they all have a professional look about them whether you’re in Little League or college. Wilson continues to parade a line of excellent baseball gloves every year. Let’s get you started with a few of their best gloves. 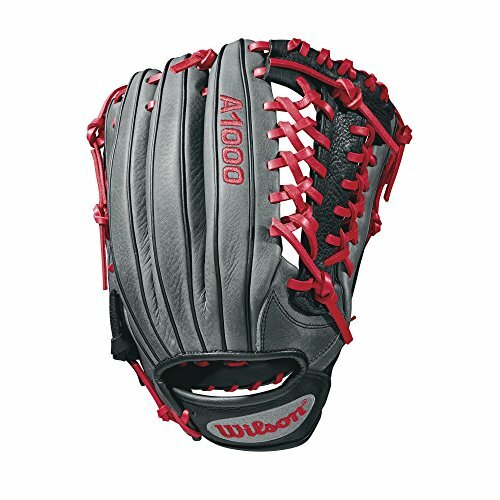 If there is one brand of baseball glove that I see a lot of infielders with it’s Wilson. I know top pros over the years have used these mitts too. 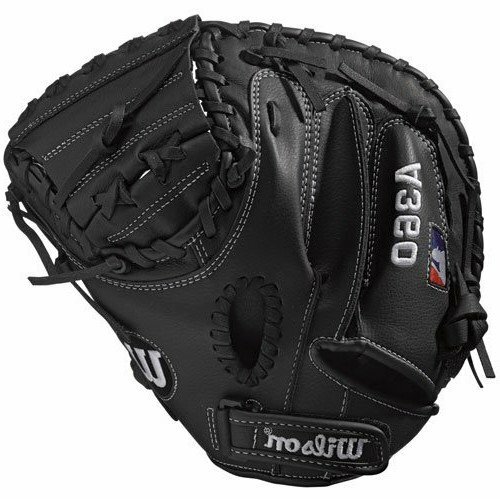 My hope is that you’ll be able to find the best infielders glove that is perfect for you. For infielders, the primary concern is stopping line drives and ground balls from getting to the outfield. Then it needs to offer a quick transfer of the ball from the glove hand to the throwing hand, to keep runners (such as the hitter going to 1st base or a runner headed for home) from reaching base. It’s not really all that concerned with pop fly balls in the infield, since a lot of the time the umpire will just invoke the infield fly rule. This means the batter is automatically out, even if the infielder fails to catch the pop-up fly ball. 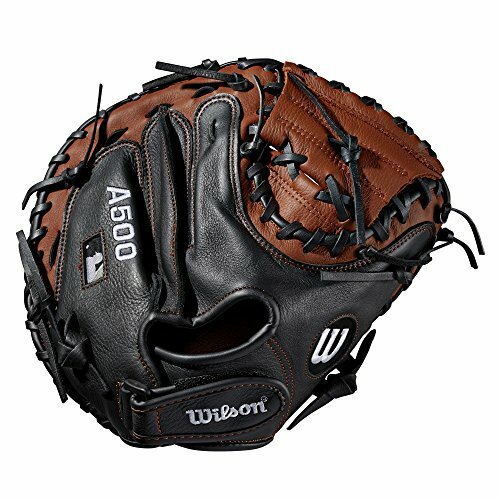 You can see this with the Wilson A2000 Superskin infielder baseball gloves, which have been made with a shallow pocket. The A2000 1786 Superskin Glove still offers a stable pocket, as it features the Dual-Welting design that automatically curves your fingers properly so that you have a stable pocket to secure the ball. This design also features the exposed edges of leather along each finger, whch adds to the durability of the pocket. The webbing also keeps the ball from spinning in (and spinning out of) the glove. The shallowness of the pocket enables you to transfer and throw the ball more cleanly and quickly. Meanwhile, you’re more comfortable and your glove is firmly on your hand because of the advanced wrist lining that keeps you hand dry and cool. It uses the famous Pro Stock Leather that offers the same kind of durability as its legendary ancestors. But now it’s reinforced with SuperSkin, so it’s light without compromising the durability. The new SuperSkin is actually twice as strong as cowhide but it carries half the weight. It also comes with double palm construction for better protection against the impact of the ball. The main difference now is that the glove has undergone more shaping and pounding by a master craftsman at the factory itself. This means you only need a shorter period of time to break it in for your hand. It’s a nod towards modern sensibilities and the need for instant gratification. If you’re looking for the best infielders mitt then take a look at these. 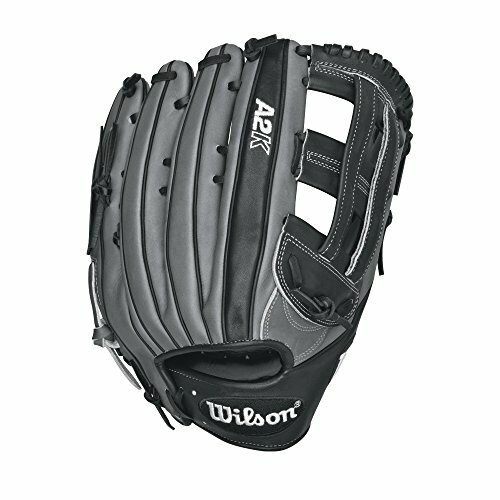 Wilson 2018 Siren Gloves - Right Hand Throw Graphite/White, 11.5"
Wilson 2018 A2K 1721 Infield Right Hand Gloves, Copper/Black/White, 12"
The Wilson A2000 Superskin outfield baseball gloves, or more specifically the A2000 HR13 GM Hanley Ramirez Outfield Glove (12.75″), is basically the same as the infield model. It also comes with the shorter break-in, the use of the SupersSkin in some places where the Pro Stock leather isn’t required, Dual Welting, and the special wrist lining. The web is open so you can see the ball through the glove. But the infield gloves only measured 11.25 to 11.5 inches. The outfield version measures 12.75 inches, and that’s mainly because of the larger pocket. In the outfield, you’ll main deal with fly balls, and that’s what the larger pocket is for. If you’re looking for a mitt in this category then you’ve come to the right place because some of these are 50% off the normal price. 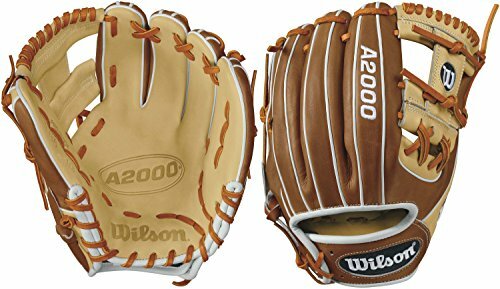 Notice that there are two different A2000 mitt models. My favorite is the black, royal and white A2000 mitt. Find out why the Superskin series of Wilson gloves is so helpful for today’s player. 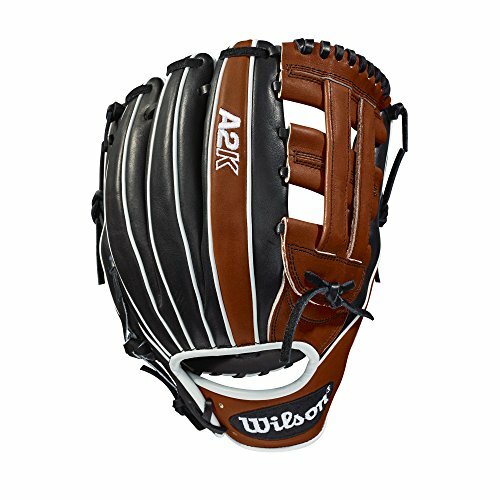 The first historic Wilson glove wasn’t really the A2000 at all. It was the Ray Schalk catcher’s mitt that first came out in 1922. It didn’t feature fingers at all. Instead, it resembled a rather predatory sea animal that swallowed up baseballs, and it offered lots of padding that protected the hand. 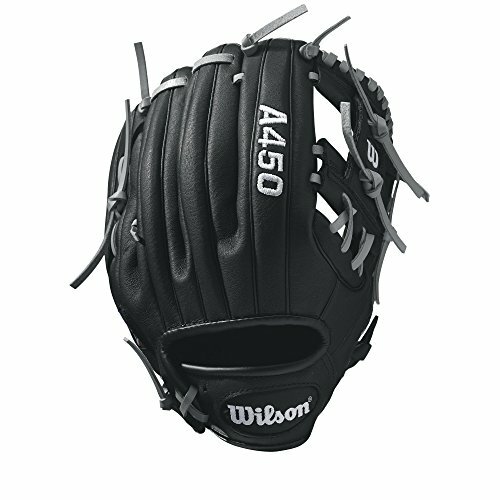 Wilson has made great strides since then, and for the last 50 years or so they’ve been making catcher’s mitts for MLB players. It offers great safety features as well as performance. You can see this in the Showtime Youth Catcher Mitt. As it’s meant for younger players, it only measures 32 inches. It offers a closed half-moon web and Double Palm construction to keep the ball from popping out while your hand is protected. It’s made of full leather, so it will conform perfectly to your hands and to the ball. With the adjustable wrist closure, you can secure it on your hands comfortably. 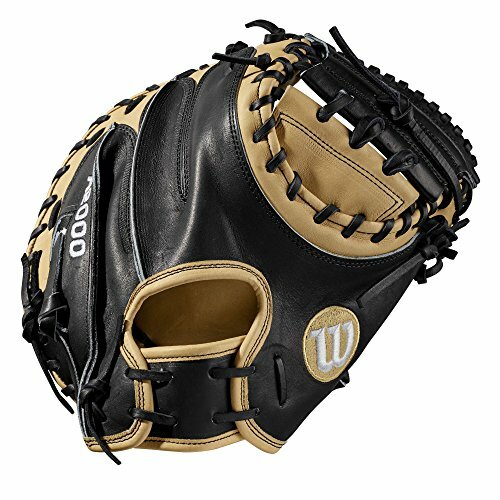 These are the best Wilson catchers gloves available today. Again, I love the black gloves and the catchers mitts are really cool looking. Their superskin one’s are really popular and very lightweight. Yes, it’s real leather where you catch the ball but on the outside of the glove they use superskin on some of them. My favorite one is the “Pudge”. Highly rated! Check out the prices on some of these! Very low price! Here’s a great video from a player showing how to best break in his mitt. Some think that the gloves for pitchers are mainly for protection, but that’s not always true. And that’s why the Wilson A2K pitchers glove is so expensive (it’s available for merely $360). Like any proper pitcher’s glove it offers a closed web pattern so that the hitter has no idea how the pitcher is grasping the ball. But that’s not all. 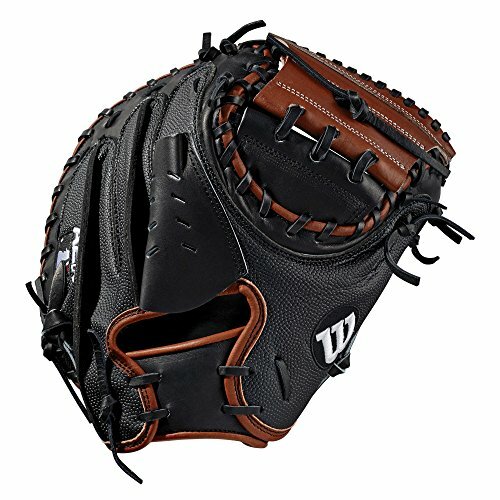 The pitcher is also a fielder, and Wilson made sure this glove offers all the features that infielder’s gloves have. It’s made of Pro Stock leather for durability, but it’s already been pounded and shaped at the factory so the break-in period is shorter. This is also made possible by the Dual Welting. It has the Double Palm construction that provides maximum pocket stability, so the ball doesn’t squirt from the glove. 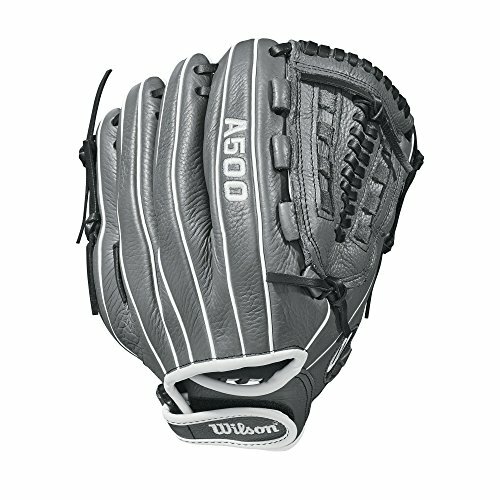 Are Wilson Baseball Gloves The Best? As you can see, regardless of the position you play Wilson will have the gloves and mitts you need. 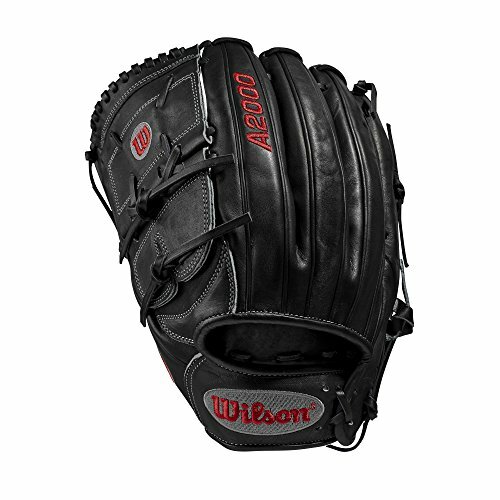 You need durability, performance, comfort, and a shorter break-in, and with Wilson baseball gloves those are what you get. Were you able to spot one or two Wilson baseball gloves from the selections above? You have a lot of great choices when it comes to Wilson Baseball gloves, thank you for laying out all the options so clearly. @Lesley – You’re so welcome! 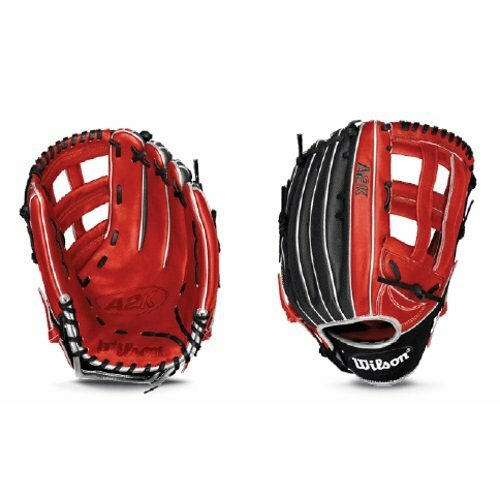 I love Wilson baseball gloves and wish I had one when I played in high school. The A2000 series of mitts are sweet!